Treasonous Kansas Republican, Representative Kevin Yoder has turned his back on the American people, by orchestrating a Committee vote within the House of Representatives that will “fast track” over 200,000 Indians who currently hold Visa work permits towards possible citizenship, further dampening the successful labor market of President Donald J. Trump and taking jobs from American college graduates. Just this Friday, it was announced that the United States now has a 4.1% growth of the GDP (gross domestic product) in the second quarter of 2018, defying the predictions of analysts and “expert” economists across the board. 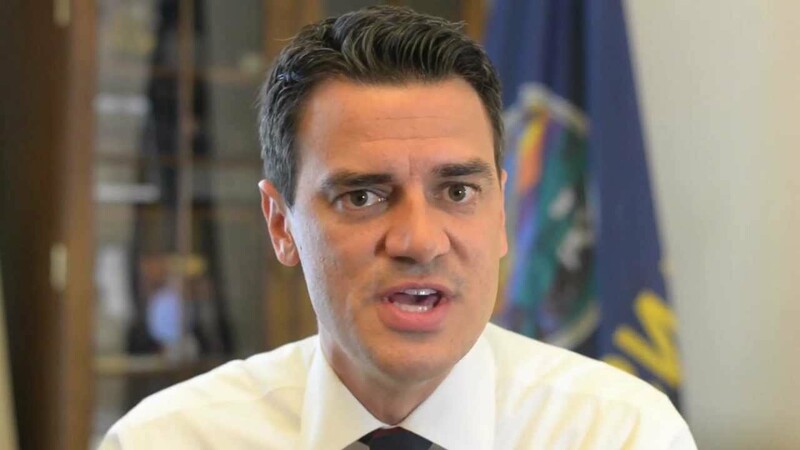 Now, Kansas Representative Yoder plans to cause chaos to the jobs market, and potentially the economy overall, by pushing the India-born immigrants inside the United States of America on temporary work Visas towards green cards and citizenship, a move that will hurt recently graduated collegiates, as well as young Americans seeking employment in the sales, service, and tech sectors. Research shows that when India’s Visa workforce enters America, that those people take away from American citizens in terms of career paths. Yoder’s essential amnesty plan was approved on July 25th as an Amendment, without the American people having any knowledge of the vote since it was done quietly behind closed doors and off-the-record. Why the need to hide a vote from Americans if it benefited the American people? That question is answering itself, <i>because there is no benefit for Americans</i> by pushing 200,000 foreign-born immigrants into the workforce with a fast-track for citizenship. The House Appropriations Committee approved the Amendment, which intends to modify the 2019 Budget, further expanding the Indian workforce which already poses stiff competition for college graduates born in America, as India continues to pour through our borders at the hands of greedy politicians seeking to benefit mega-corporations at the expense of the fresh-out-of-college working class in our country. The Yoder Amendment will also harm those who are legally seeking a green card into America, by pushing those numbers back at least 200,000 people, giving the India-based foreign labor market an advantage over those who have followed the law and waited patiently to come into America. This non-organic migration is one that should have both open-borders Democrats and tough immigration law Republicans up in arms. While the Amendment is not law yet, current federal immigration laws have what is known as a “country cap,” that halts immigration from each nation at 140,000 people who can receive green cards, and this effort from Representative Yoder will in-turn prevent those who actually have talents or skills to offer America from entering the country and instead giving the 200,000 from India a free pass, regardless of merit. This is not what the American people voted for when they chose Donald J. Trump as their President, and compassionate Conservatives have already made clear they want people coming into our country legally based on a merit system. Yoder’s Amendment betrays this intention and stabs both young Americans in the back and the will of the people. Also unknown to most, is the fact that there is already an enormous backlog of India-born migrants, nearly 300,000, along with a similar number of their family members, which will be moved to the front of the green card line if the Yoder Amendment is made into law. So we're talking about an estimated 800,000 India-born workers who will be coming into America in less than a year, many of whom will be able to seek citizenship through a fast track. This is a dangerous Amendment, and it will kill American worker's abilities to find employment. That also comes after the President of the United States of America announced<a href="https://thegoldwater.com/news/31747-Trump-BOOMING-Unemployment-Rate-Lowest-Since-1969"> record-low unemployment levels</a>, of which haven't been seen by Americans since 1969, in nearly 50 years; and also boasting the lowest African-American and Hispanic unemployment rates in the history of the nation. The jobs report released by the Labor Department suggests unemployment lines have not been this short since December of 1969, spanning five decades, proving this Presidency has been an enormous success for the citizens of this nation with “America First” policies and legislation. With Yoder pushing his Amendment onto Americans, in secret, through the House Appropriations Committee, one has to ask what kickbacks the Representative from Kansas is set to receive for doing this. Likely, he has high-level donors from mega-corporations that have lobbied his office, again showing that whether Republican or Democrat, constituents of our elected officials are put second to corporate interests. John Miano, an immigration attorney and software developer, spoke to<a href="https://www.breitbart.com/big-government/2018/07/27/rep-yoder-gop-offer-giveway-to-200000-foreign-graduates-and-tech-industries/"> Breitbart News </a> about the bill, suggesting that there is little to no benefit for Americans if this were to be made into law. “From the Indian perspective, this is wonderful — it transforms the American immigration system into an Indian-first system,” said Miano. “Every [other] ethnic lobbying group will be screaming because only people from India will be getting [employer-sponsored] green cards,” Milano said to Breitbart News. The total jobless claims have dropped an additional 8,000 Americans, now at 207,000 total, well below estimations out of a population of 326,865,689 million Americans, but you can expect those numbers to incrementally jump if Yoder’s Amendment is made law, hurting the success of the Trump Administration. The records broken by President Trump are stunning, considering that the previous President, Barack Obama, cannot compare his results with what the Trump Administration has been capable of succeeding at, so it's in high hopes that the President's advisors are made aware of what treachery Yoder is trying to pass into law. President Trump has showcased that when you place the interests of the common American before that of foreign-born individuals, ridiculous regulations, and taxation; the nation's economy flourishes. It is, however, hard to remain victorious when the RINO (Republican in name only), con-artist incumbents within the GOP, such as traitor Representative Yoder, sell out the future of our young Americans in order to benefit his corporate donors. The American people have to tell the Trump Administration what Representative Yoder is trying to do, before the decision from the House Appropriations Committee is hidden inside of a much more complex bill in the Senate, where they'll likely manipulate Congress into supporting passing such as bill, as we saw with<a href="https://thegoldwater.com/news/21055-FOSTA-SESTA-Has-a-Dirty-Hidden-Secret-gt-Why-FOSTA-SESTA-Must-be-Stopped"> FOSTA and SESTA</a>. India already plays a crucial role in America's technology industries, especially software, where Indian-born developers of applications and software writers are dominating the tech sectors, many of whom work for mega-corporations like Google and Twitter, which leads to the far left in support of globalist policies. Young Americans who wish to work in these fields are paying enormous student loans and debts to reinvigorate America's dominant technology prowess, but Representative Yoder would rather see those graduates forever in debt, than finding successful careers and reshaping the technology sectors in an “America First” boom. Contact your elected officials, tell them “NO” on HR392, and tell them that we will vote out all traitors who sell our children's futures for foreign interests. It's bad enough that Americans have to deal with the treasonous Democrats, but now Republicans are doing similar harm, reminding us of why we need to “drain the swamp” and vote monstrosities such as Yoder out of office.